Let’s face it, severe weather is one of the hazards that many of us will always be facing in the emergency management profession. While we cannot prevent or eradicate severe weather from happening, we can however, mitigate the impacts that severe weather will have on our communities. Life safety should always be the number one priority when it comes to managing an incident involving severe weather. It is the responsibility of all communities, nationwide, to preserve life during a major emergency and contribute to the Whole Community approach of emergency management and preparedness. But when it comes to a rural community, there are many challenges that often gets in the way. Rural communities most often are impacted the most by severe weather simply because there are limited personnel, resources and financial opportunities to recovery from the incidents. While funding may be limited, this isn’t to say that rural communities cannot take advantage of the many tools and programs available for them at their disposal. I’ve written this article focusing on the rural community model with less than 2,500 residents, as a tool for emergency preparedness in emergency management operations. The National Weather Service offers a great program known as StormReady®. This program can be applied to a variety of different communities, whether big or small. The basis of this program is to enable communities to ready their towns for the possibilities of severe weather conditions. By participating in this program, emergency managers can take the extra step in ensuring their rural communities are prepared for the impacts of severe weather events such as tornadoes, hurricanes, flooding, major winter storms and other meteorological hazards. It is important that all communities, whether large or small, following a same set of guidelines to help ensure that everyone is working together for a common goal as a Whole Community and the NWS StormReady® program enables communities to do just that. The Main Priority of StormReady® is to Save Lives! It is essential that emergency managers participating in the StormReady® program understand what the program is meant for. The main priority of the program is to help communities save lives during severe weather conditions. While many of the elements of StormReady® can be applied to various functions of emergency management, the program’s priorities are focused on life saving efforts. I’m not writing this guide to show you how to obtain more resources or start a budget for severe weather operations, I’m writing it to show you how you can use the StormReady® program to help keep members of your rural community safe during severe weather conditions. It is the responsibility of all emergency management personnel to always keep in mind that the main priority of the StormReady® program is to save lives. Assuming your community is at less than 2,500 populations, there is one requirement in the Command and Management phase of StormReady® that you must establish as an emergency manager. This one requirement is that you have established a 24-hour Warning Point (WP) such as a communications and/or dispatch center to disseminate warning information about approaching and/or upcoming severe weather events. For some communities, a 24/7 dispatch center will be in operation for police, fire and ems calls – this center would be a good fit for this requirement. However, not all rural communities can afford to keep a 24/7 center open therefore, you would need to substitute this center with a county communications and/or dispatch center. Most rural communities that do not have their own local dispatch center will usually use a county or parish dispatch center. Coordinate with this center to ensure that your community is on the list to get the latest severe weather updates. This may be sent out in form of a mass notification to several different communities. The first of many requirements for rural community of less than 2,500 populations of this StormReady® phase is to maintain at least 3 different methods of getting warning information by the National Weather Service for severe weather events. This can include a NOAA weather radio, notification from local/county/parish dispatch center of NWS statements, watches and warnings and even using the NWS website with an internet source. The NWS also sends out email and text alerts for severe weather events. The second requirement of this phase is to maintain 1 method of disseminating warning information to the public. This can be done through warning sirens, text/email based alerts and media/radio broadcasting. The third requirement is that the community must have a certified NOAA Weather Radio in key public facilities such as the town hall, water department, police department, fire department and other areas where the public might be. The next requirement is that rural communities must maintain at least one way that the community will monitor severe weather and flood conditions – the can be accomplished with the use of the Skywarn Storm Spotter system with is free and completely volunteer. The next requirement is that routine communication between the NWS and the community emergency manager should be made through systems such as NWSChat, ham radio and other methods. Finally, the requirement of being able to communicate with the local and nearby jurisdictions should be made – this is often accomplished by having a radio/communication system with nearby communities, counties and the state agencies that the local community will coordinate with. Preparedness is an important topic to be made aware of concerning the NWS StormReady® program because it is essentially there to help save lives of people who will likely be impacting by severe weather and flooding events. All communities, whether big or small, should be taking steps to utilize preparedness so that their citizens know that officials are ready to keep them safe in their dire need of protection. Planning is the first requirement of this phase – all communities should have some kind of emergency operations plan (EOP) even if this means adopting a plan from a county or parish level emergency management office. The EOP should have information about how the community will prepare for, mitigate, respond to and recover from severe weather events that may impact the local area in order to meet this specific requirement. The next requirement might be the most difficult for a rural community due to limited resources, personnel and funding – conducting an exercise related to natural hazards at least once every 3 years. Rural communities are encouraged to reach out to other nearby communities and the county to plan and coordinate a joint-community exercise to help meet the needs of this requirement. The next requirement is that rural communities should have storm spotters that are trained and/or re-trained every two years – most areas offer free storm spotter training classes and some NWS offices allow for online training as a substitute which is also provided for free. And finally, rural communities should conduct at least one weather safety activity each year for the community – this could include a town hall meeting, giving away NOAA weather radios and other creative programs that the community as whole should plan and implement within their town. Ready to Make Your Rural Community StormReady®? Applying to become StormReady® isn’t as difficult as you might think it is. It isn’t like trying to get approved for a grant and we all know how difficult that can be. To become StormReady®, first, make sure your community is meeting all of the requirements listed above. Next, contact your local NWS Weather Forecast Office. 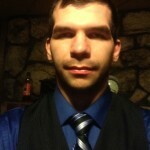 This office will assist you in making this process a lot easier than you hope for. Fill out the required documents for becoming StormReady® and send it to the local Weather Forecast Office official that you contacted. Then a verification visit will be arranged whether the NWS will come to your community, talk with you about the StormReady® program and ensure that all requirements are met based on your community’s population requirements. Finally, you will await to receive approval from the board to certify your community as a StormReady® community. Participating in the StormReady® program is completely up to you and your community. It isn’t required by any means. However, by participating in this program and ensuring your local citizens that your community is participating, you are taking the extra step in promoting preparedness and lifesaving efforts for the community as a whole. Emergency management is about preparedness isn’t it, at least part of it is. It is our responsibility to prepare our communities for the worst types of incidents that can happen within a blink of an eye. Severe weather and flooding is usually among the most common types of major emergencies that will impact most communities across the United States of America. We should all be taking the step of utilizing great program like StormReady® to help promote lifesaving efforts across the board of our communities. 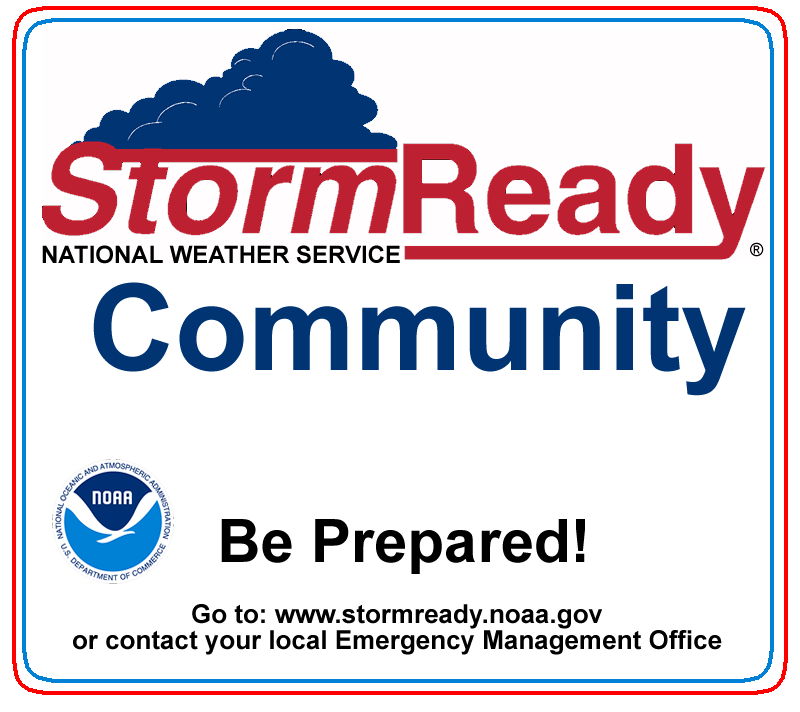 I truly hope you are able to certify your community as a StormReady® community. If you have enjoyed this article and would like to inform other communities about it, I strongly encourage you to share this article with them and especially on your favorite social media outlets. Thank you for taking the time to read this article.